With more than 40 years of extensive experience, Randy Wilson, Attorney at Law, provides aggressive advocacy for Texas clients facing criminal charges or experiencing a difficult divorce or family law problem. From his Abilene, Texas, office, Randy Wilson represents Texas residents in Abilene, San Angelo, Big Spring, Brownwood, Eastland, Sweetwater and the surrounding area. Randy Wilson is committed to protecting the rights of defendants confronted with state or federal criminal charges including DWI/DUI and white collar crime, theft, murder, drug related offenses, family violence assault, sexual offenses and assaultive offenses. In these cases, Mr. Wilson works diligently to challenge the evidence presented against his clients and minimize the personal and financial consequences of criminal charges or convictions. Because white collar crime defendants may often be aware that they are under investigation, Randy Wilson can provide the legal advice necessary to protect his clients’ rights in those complex criminal matters before charges can be filed. Mr. Wilson understands and anticipates the intricacies of presenting the best possible defense for his clients. His extensive trial experience includes the representation of several defendants charged in Schleicher County, Texas, of child sexual abuse after the 2008 raid on the Fundamentalist Church of Latter Day Saints (FLDS) at the Yearning for Zion Ranch (YZR). Randy Wilson displays his dedication to meeting the legal needs of military personnel through his experience representing clients facing criminal charges pursuant to the Uniform Code of Military Justice (UCMJ). Additionally, he protects the custody and parenting rights of military service members going through a divorce as well as their property and retirement assets. Randy Wilson is recognized by his colleagues as a preeminent legal practitioner. He currently serves on the board of directors of the Texas Criminal Defense Lawyers Educational Institute and frequently provides continuing legal education for fellow attorneys through criminal defense skills courses. Additionally, Mr. Wilson continues to produce and host "You and the Law," his weekly KKHR radio program for the past fifteen years. 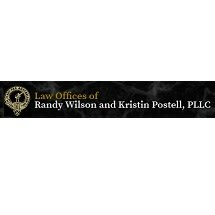 Contact the Randy Wilson Law Offices toll free at 800-588-4678 to arrange a free consultation. When you are facing criminal charges, it is absolutely critical that you consult with an attorney as soon as possible. Without experienced guidance, you may risk losing rights and defenses. Drunk-driving charges can carry serious penalties including loss of license, significant fines, surcharges, probation, even jail time. Repeat offenders may face even more severe penalties. White collar crimes involve extensive federal investigations and can result in significant penalties including fines or even jail time. Family legal problems and any resulting court orders can permanently affect the lives of parties involved. Facing a divorce involves the difficult process of dividing financial assets, determining who will have primary custody of the children, and conclusively ending a marriage.